It may not have been a postseason-saving victory, but the Nashville Predators knew how daunting a challenge they would face if they lost the first two games of their Western Conference first-round series at home. Instead, buoyed by a dramatic overtime victory, the Predators have renewed confidence heading into Game 3 at the Dallas Stars on Monday night. Although Nashville dominated Game 2, the Central Division champions needed a goal from Craig Smith five minutes into the extra session to level the series at one game apiece. "It's a huge win for us. 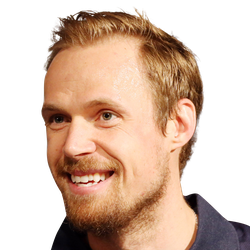 Now we've tied the series and go in their building and have an opportunity to get the lead," Predators goaltender Pekka Rinne said. "Not too high, not too low, enjoy this, but also get ready for the next couple Dallas games." The Stars were outshot by a nearly two-to-one margin in Saturday's 2-1 setback but they headed home with a mission-accomplished mindset after a 3-2 victory in the series opener. "It's a seven-game series. We came into Nashville wanting to get one, wanting to steal one on the road," Dallas center Tyler Seguin said. "We did that. We're excited to get home and play in front of our fans." ABOUT THE STARS: Despite captain Jamie Benn scoring the opening goal, Dallas managed only 23 shots on net and struggled badly on the power play, failing to capitalize on any of its six chances with the extra skater. "You go 0-for 6, you get a couple of good chances. But you've got to come through," coach Jim Montgomery said. "We need to think shot first. We're all looking at the next play instead of looking to score. That's not only power play but also 5-on-5." 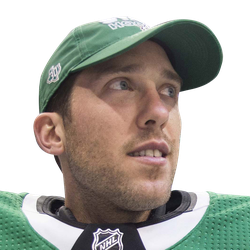 Ben Bishop had another stellar game in net and has turned aside 70 of 74 shots through two games. 1. No update was available Sunday on Predators F Wayne Simmonds, who exited Game 2 after taking a shot off the knee. 2. Stars C Roope Hintz won only 1 of 14 faceoffs as Dallas was dominated 42-29 in that department. 3. Predators F Calle Jarnkrok assisted on both goals in Game 2. Boyle is sidelined due to an appendix issue and considered week-to-week. Janmark is nursing a leg injury and it is unclear if he will face the Predators in Game 5 of the Western Conference first round. Method has been designated for the injured reserve list as he had season-ending surgery to fix a cartilage defect in his left knee. Hanzal has landed on injured reserve with a back injury and it is unclear how long he will remain out of the lineup. Johns has been placed on injured reserve due to post traumatic headaches and it is unclear when he will make his season debut. Under is 4-0 in Predators last 4 Monday games. Over is 2-0-3 in Predators last 5 playoff games as an underdog of +151 to +200. Under is 2-0-2 in Predators last 4 games as an underdog of +151 to +200. Under is 4-0 in Predators last 4 road games vs. a team with a winning home record. Under is 2-0-2 in Predators last 4 games as a road underdog of +151 to +200. Stars are 1-6 in their last 7 playoff games as a favorite of -151 to -200. Over is 5-1-2 in Stars last 8 playoff games as a favorite of -110 to -150. Under is 20-4-2 in Stars last 26 games as a favorite of -110 to -150. Stars are 5-1 in their last 6 home games vs. a team with a winning road record. Under is 14-3 in Stars last 17 games as a home favorite of -110 to -150. Over is 6-0 in the last 6 meetings in Dallas. Under is 4-1-1 in the last 6 meetings. Predators are 4-1 in the last 5 meetings in Dallas. Road team is 5-2 in the last 7 meetings. Favorite is 22-9 in the last 31 meetings. Hot Trends are trends 80% or higher. Cold trends are trends 20% or lower. Predators are 4-0 in their last 4 after scoring 2 goals or less in their previous game. Predators are 5-1 in their last 6 road games. Predators are 4-1 in their last 5 overall. Predators are 8-2 in their last 10 games playing on 1 days rest. Predators are 4-1 in their last 5 vs. Western Conference. Predators are 11-3 in their last 14 Conference Quarterfinals games. Predators are 38-13 in their last 51 Monday games. Predators are 5-2 in their last 7 games as an underdog of +110 to +150. Predators are 5-2 in their last 7 games as a road underdog of +110 to +150. Predators are 5-2 in their last 7 vs. Central. Predators are 7-3 in their last 10 when their opponent allows 2 goals or less in their previous game. Predators are 1-4 in their last 5 vs. a team with a winning record. Predators are 4-17 in their last 21 games as a road underdog of +201 or greater. Predators are 4-17 in their last 21 games as an underdog of +201 or greater. Predators are 1-5 in their last 6 playoff games as an underdog of +201 or greater. Stars are 4-1 in their last 5 after scoring 2 goals or less in their previous game. Stars are 6-2 in their last 8 overall. Stars are 8-3 in their last 11 vs. Central. Stars are 39-15 in their last 54 games as a home favorite of -201 or greater. Stars are 5-2 in their last 7 Conference Quarterfinals games. Stars are 5-2 in their last 7 games as a favorite of -151 to -200. Stars are 5-2 in their last 7 vs. Western Conference. Stars are 44-19 in their last 63 games as a favorite of -201 or greater. Stars are 9-4 in their last 13 when their opponent scores 2 goals or less in their previous game. Stars are 63-31 in their last 94 games as a home favorite of -151 to -200. Under is 7-0 in Predators last 7 when their opponent scores 2 goals or less in their previous game. Under is 6-0 in Predators last 6 after scoring 2 goals or less in their previous game. Under is 4-0-1 in Predators last 5 Conference Quarterfinals games. Under is 7-1 in Predators last 8 games as a road underdog. Under is 7-1 in Predators last 8 games as an underdog. Under is 6-1-1 in Predators last 8 vs. a team with a winning record. Under is 16-3-2 in Predators last 21 games playing on 1 days rest. Under is 5-1 in Predators last 6 games as an underdog of +110 to +150. Under is 5-1 in Predators last 6 games as a road underdog of +110 to +150. Under is 13-3 in Predators last 16 road games. Under is 12-3-1 in Predators last 16 vs. Western Conference. Under is 14-4-3 in Predators last 21 when their opponent allows 2 goals or less in their previous game. Under is 6-2-1 in Predators last 9 after allowing 2 goals or less in their previous game. Under is 3-1-1 in Predators last 5 vs. Central. Under is 24-9-3 in Predators last 36 overall. Under is 13-5-2 in Predators last 20 games following a win. Under is 13-3 in Stars last 16 games as a home favorite. Under is 17-4-5 in Stars last 26 vs. a team with a winning record. Under is 4-1 in Stars last 5 games as a home favorite of -151 to -200. Under is 4-1 in Stars last 5 playoff games as a favorite of -151 to -200. Over is 4-1-2 in Stars last 7 playoff games as a favorite. Under is 4-1 in Stars last 5 games as a favorite of -151 to -200. Under is 18-5-4 in Stars last 27 games playing on 1 days rest. Under is 7-2-1 in Stars last 10 home games vs. a team with a winning road record. Under is 7-2 in Stars last 9 games as a favorite of -201 or greater. Under is 7-2 in Stars last 9 games as a home favorite of -201 or greater. Under is 6-2-2 in Stars last 10 vs. Central. Under is 21-7-4 in Stars last 32 vs. Western Conference. Over is 3-1-2 in Stars last 6 Conference Quarterfinals games. Under is 34-12-5 in Stars last 51 overall. Under is 18-7-1 in Stars last 26 Monday games. Under is 20-8-1 in Stars last 29 home games. Under is 15-6-3 in Stars last 24 after scoring 2 goals or less in their previous game. Under is 36-15-1 in Stars last 52 games as a favorite. Under is 34-15-5 in Stars last 54 when their opponent scores 2 goals or less in their previous game. Under is 34-15-4 in Stars last 53 when their opponent allows 2 goals or less in their previous game. Under is 29-14-9 in Stars last 52 after allowing 2 goals or less in their previous game. Predators are 9-4 in the last 13 meetings. Join the NHL Betting Discussion: Share Picks, Private Messaging, Polls and more. The public consensus shows the number of picks in the King of Covers contests made by all players. Compete against other bettors or simply test a betting strategy by playing our free contests. Weekly, monthly and season long prizes for each contest. Start your own public or private pool. Test yourself in our Streak Survivor contest for a chance to win $100,000 by selecting 25 correct picks in a row.